This was SJGR's first visit to this private home. The residents here were reporting hearing foot steps, crashing sounds and people talking. They have also been touched by unseen hands and have found objects moved or relocated all through the house. 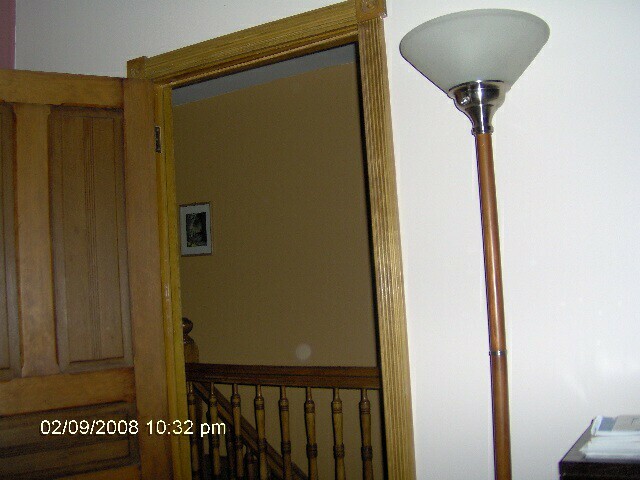 The physical evidence collected consisted of 9 EVPs and 8 positive photos with energy orb anomalies in them. Only 1% of positive photos obtained falls well below the average normal range so they don't factor in into the evidence overall, but some photos correspond to events investigators were experiencing at the time the photo was taken. 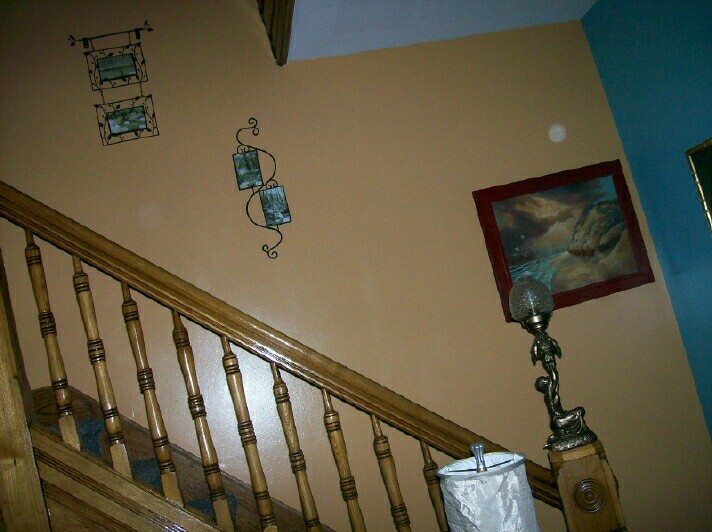 One anomalous EMF reading and 5 motion sensor readings were recorded during this investigation. The motion sensors being tripped this many times is substantial evidence that something not visible to the naked eye had a large enough of an infrared heat signature for the sensor to detect it. 10:33pm - Investigator L. Perley heard a noise from the corner of this room and Investigator Hewitt took this photo while looking for a source. 12:23am – Investigator Davis took this photo at random.